Bield Housing & Care has called for Edinburgh volunteers to join the team and help bridge the gap between older people and technology. The housing provider has teamed up with local charity Tap into IT to run new computer classes at its Manderston Court development in Leith. 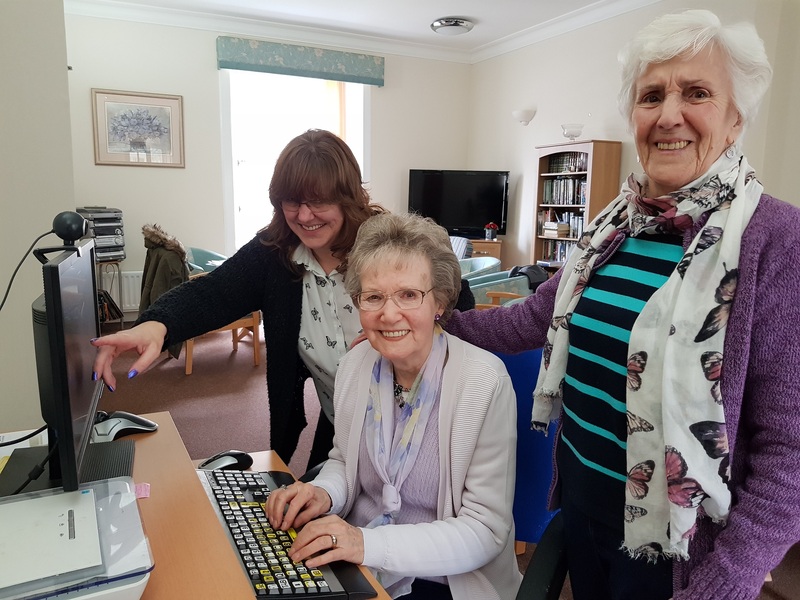 With the help of volunteers, the club will run weekly from Monday 11th March, and will help tenants build confidence using the internet, social media and other forms of technology, such as iPads and smartphones. As well as learning new skills, the club will also encourage social engagement, helping to reduce the risk of isolation and loneliness which can have a detrimental impact on health and wellbeing. Tenant Alfred Bash, 75, said: “I’m looking forward to meeting new people who are also keen to learn and increase their skills in using technology. Amy Telford, volunteer development Worker at Bield, said: “We run similar clubs in our developments across Scotland and our tenants get so much out of it. Training, ongoing support and expenses will be provided to volunteers. More information is available from the Bield website.